Summer is the most activity filled and exciting season of the year. It’s when the kids are out of school, the earth is warm, and the rain doesn’t rain on your day. It’s also the perfect time to update the exterior of your home. Summertime gives the best weather for completing exterior projects with as few hiccups as possible. 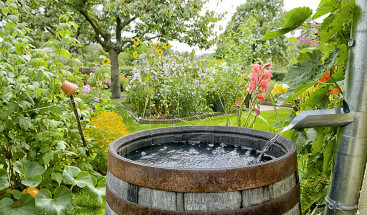 So if you’ve been thinking about specific outdoor projects or need a little inspiration, here are 7 exterior projects you could complete this summer. Nothing says fresh exterior like a fresh coat of paint. The summer heat is perfect for drying the paint quickly and helping apply multiple coats faster. This is the perfect way to keep your home looking its best for the rest of the year. And if you are up for a change in color and style, check out our list of nine fresh ideas for painting your home. Paint also provides a protective coating on your siding. 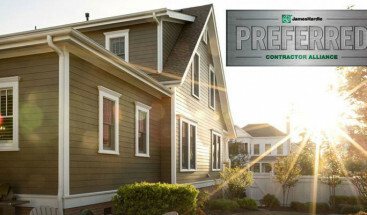 Summer is the perfect time to prepare your siding for the winter months, which can have hail storms, strong winds, and cold temperatures. Whether you hire a professional or DIY your paint job, be sure your surfaces are properly cleaned and prepped before starting the painting process. Let that summer sunlight into your home with some new windows. Windows update the look of your home from both the interior and exterior and allow you to enjoy the summertime views. This is the perfect season for new window installation, and it prepares your home for the coming winter months. Old and drafty windows are especially noticeable during the colder season, which can cause your energy bills to skyrocket. But new windows can prevent this stress. Make the investment in high-end, energy-efficient windows. They save money on energy bills and can fetch a return of more than 80% of your investment upon resale. They also protect your home’s interior from harmful sun rays better than regular windows. This can especially come in handy during the summer months. With summer nights come summer parties, hangouts, and family get-togethers. And the mild Colorado summer nights are perfect for outdoor entertaining. A well-built and beautiful deck is a great way to move the fun outdoors. Not to mention that fall provides some of the most luxurious weather for Colorado, so having a deck ready before fall arrives will keep your outdoor entertainment seamless from season to season. 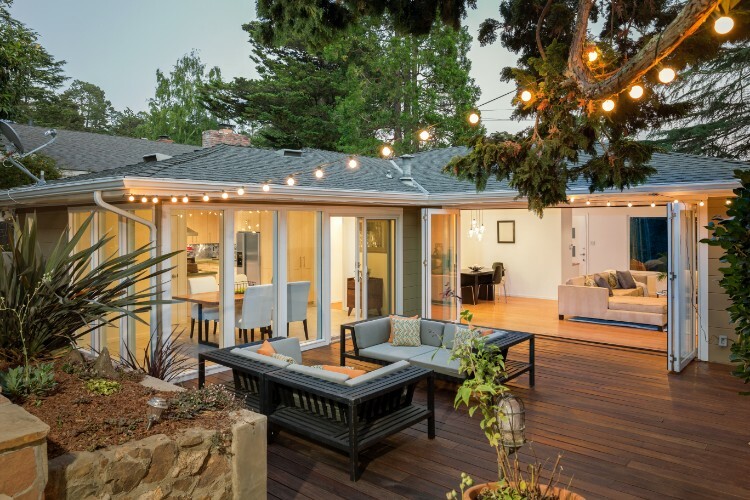 Decks add a great value to your home and see up to 70% return on investment during resale. This percentage can fluctuate depending on the area of your home, the size of the deck, and the materials used. There is nothing as wonderful as a shaded entertainment space during a Colorado summer. Pergolas and gazebos are beautiful additions to any yard and give you plenty of room for entertainment without burning up from the sun. During summer, when it is less likely to rain on wooden materials, is the perfect time for installation. An attractive backyard also adds value to your home in the event of resale, and nothing adds more functional beauty than a well-constructed pergola or gazebo. Summer is the safest time for a roof installation, for two reasons. First, if you are removing and replacing your old roof, you want as little rainfall as possible during the process. Second, the safest time to climb onto a roof is when the weather is dry and sunny. Summer is a great time to have a roofing contractor stop in for an assessment and replace your roof. 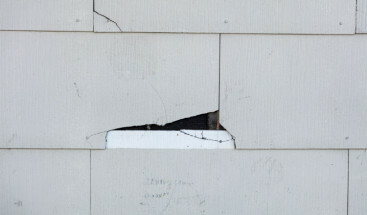 Hail season is also in full swing from April to September in Colorado, and a new impact resistant (IR) roof can better protect your home than regular asphalt shingles. While IR shingles have a slightly higher upfront cost, they are a great solution for proactive Colorado homeowners looking to upkeep their homes to the best of their abilities. Not to mention, a new roof typically has a 75% or greater return on investment during resale. Gutters are an important extension of your roof. They are the main source of drainage and runoff for your house, and new gutters update the look of your roof. But more importantly, they protect your roof from pooling water. With the coming seasons, Colorado homes will experience lots of rain, wind, and snow. Secure and trustworthy gutters become essential during these seasons, especially if you have opted to install a new roof. Fences distinguish your property, provide privacy, give added protection, and look great. If you have small children or pets, they can be especially beneficial. They help protect your children from wandering into the street and also help decrease noise infiltration. Summer is the perfect time to get that new fence installed. There are a variety of materials and styles to help you find the exact fence for your taste and your home’s needs. If you love your home’s curb appeal and exterior functionality and want to elevate the look of your home, then any or all of these projects will give you a great return in home equity and lifestyle. And when you are looking for a job done right, we at Refined Exteriors are ready to help. We have been helping elevate the exterior of Colorado homes for years, and we are ready to tackle your summer projects. Contact us today for a free consultation and quote. Let’s make your summer productive and increase the value of your home at the same time.